Bruce McLaren won the Belgian Grand Prix at a Spa, but he was more than a little lucky as Jackie Stewart had been leading until running out of fuel in the dying stages. McLaren pulled into the garage unaware he had won - he had not seen Stewart cruise into the pits - until his wife shouted the news to him. Stewart had missed the previous two races after fracturing his wrist in a Formula Two event, and was racing in a cast against doctor's orders. Chris Amon took pole, and fought a high-speed battle with John Surtees for seven laps before Amon retired after a stone punctured his radiator and then four laps later Surtees' suspension collapsed. The biggest accident came when Lancastrian rookie Brian Redman crashed at the end of the 190mph Masta straight, his Cooper-BRM rolling over. He was pulled from the smouldering wreck as it burst into flames and rushed to hospital with a broken arm and slight facial burns. A marshal, who was hit by the car, also suffered a broken arm. Stewart eased into a commanding lead but his 37-second advantage slipped to 25 by the end of the penultimate lap and it was clear there was trouble. Matra had calculated consumption of around 7-8mpg but the estimates were wrong and Stewart's car rolled into the pits at the start of the last lap. 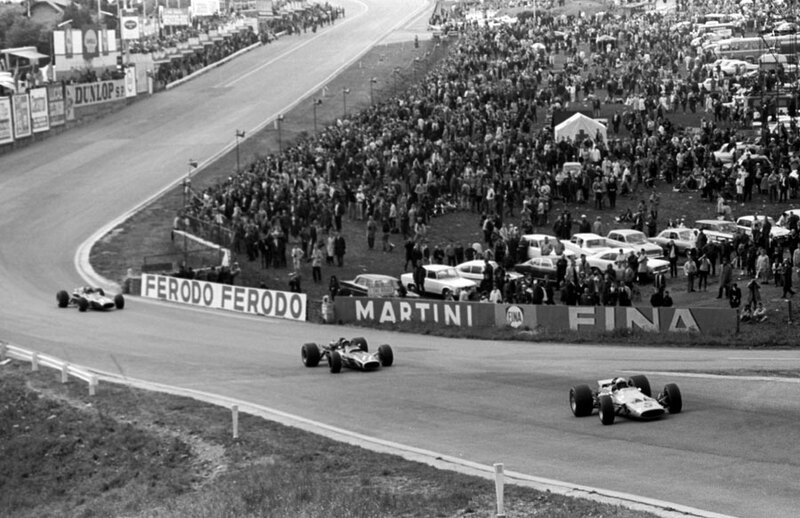 McLaren shot past, oblivious, and Pedro Rodriquez and Jacky Ickx followed before Stewart was able to resume to secure fourth.